A FAMILY RECONSTRUCTION DNA TEST is performed in cases where the alleged father is deceased or unavailable for DNA testing. The genes of the missing alleged father are present in his known biological family members. 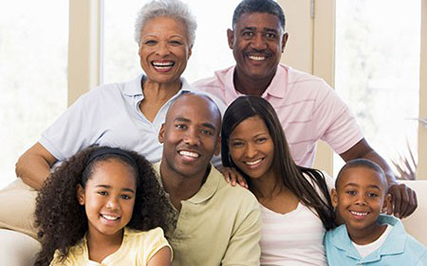 Our DNA Specialist will determine which family members to use for testing in order to to strengthen the results. A sufficient number of family members will be required in order to obtain conclusive results. This type of testing can become very complex, we suggest you complete the form below to tell us more about your situation. A DNA Specialist get back with you to discuss the available options based on your specific circustances. Thank you for your very professional service. I appreciate your time, effort, and sincerity. Joshua, Kaylene, and I couldn’t be happier to have our relationship confirmed! My father passed away 14 and a half years ago. I just recently got word that I possibly have a younger sibling that I never knew about. We got in contact with each other through Facebook & we both agreed we needed to get a DNA test. We contacted DNA Services Unlimited, they came to my home, discreetly and collected my DNA, and coordinated the DNA test for my younger sibling in another state. The process was smooth and stressfree, the results came back within a matter of days. What a blessing it was to find out we were indeed half brother & sister!